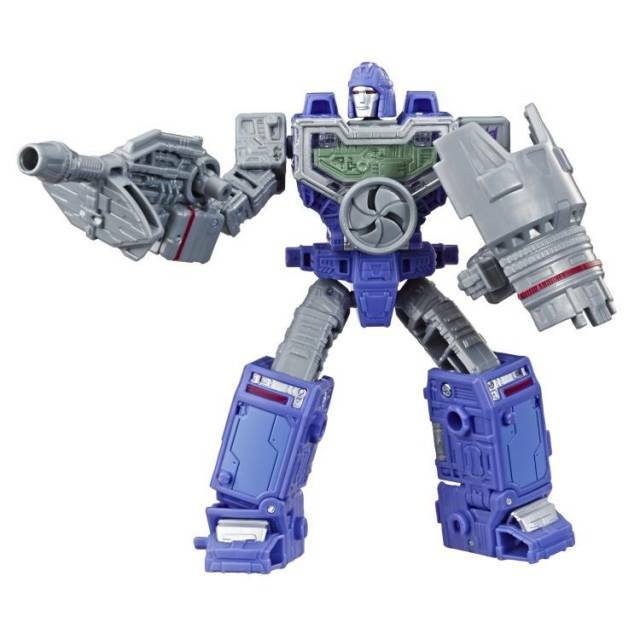 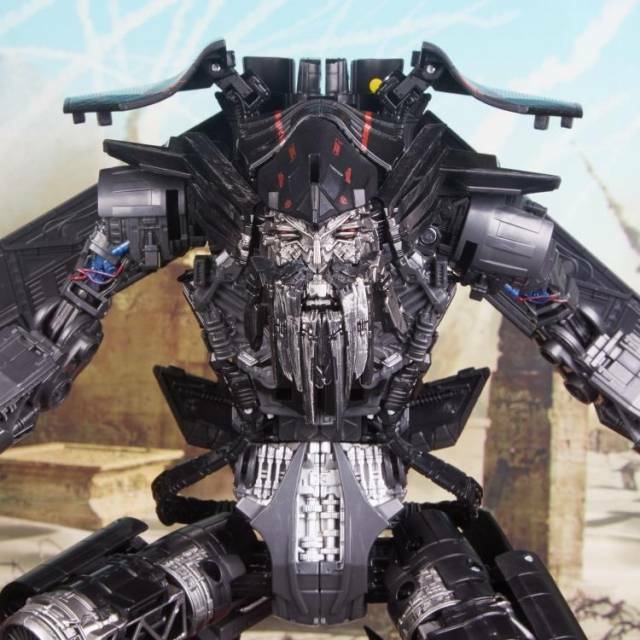 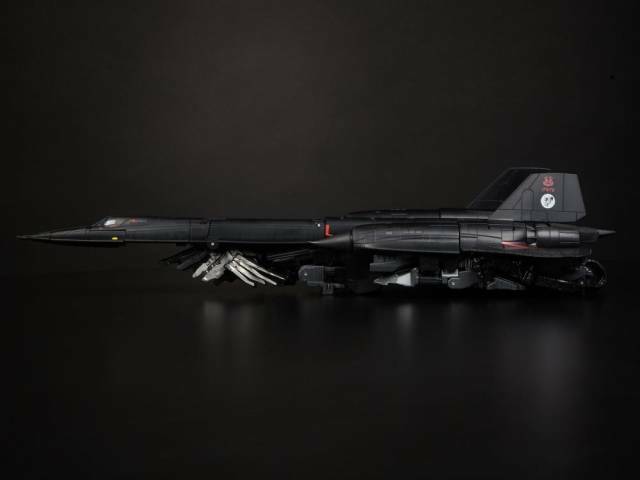 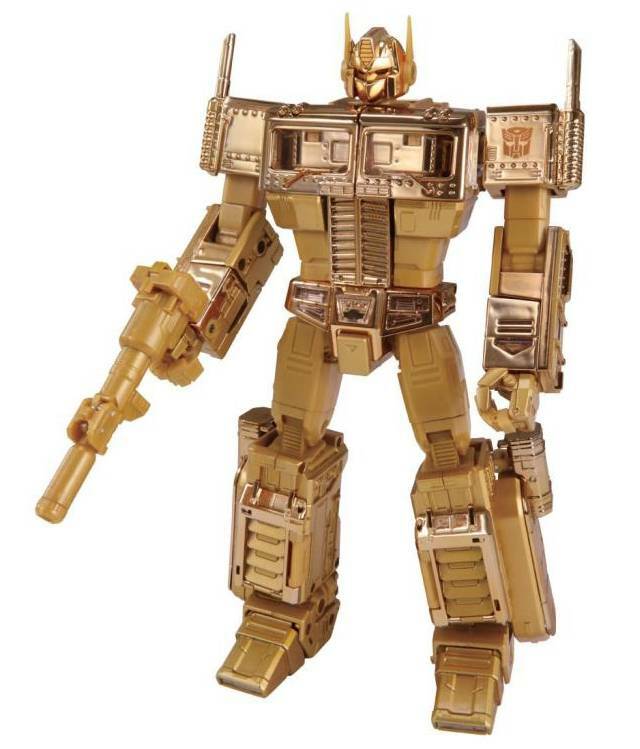 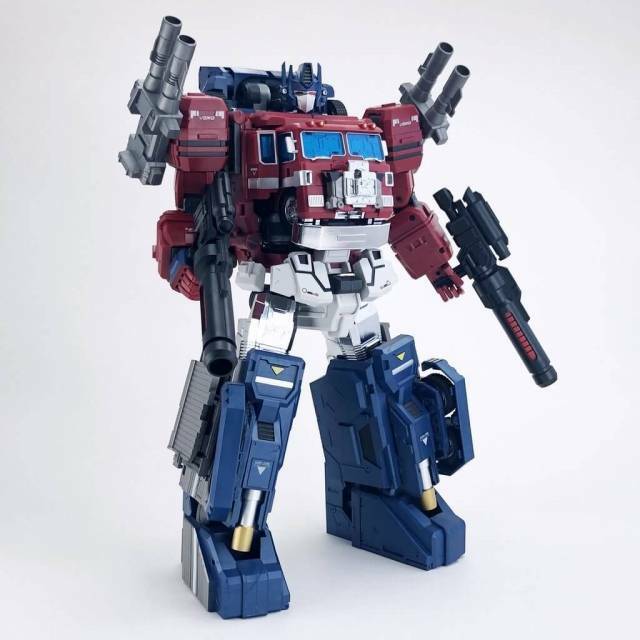 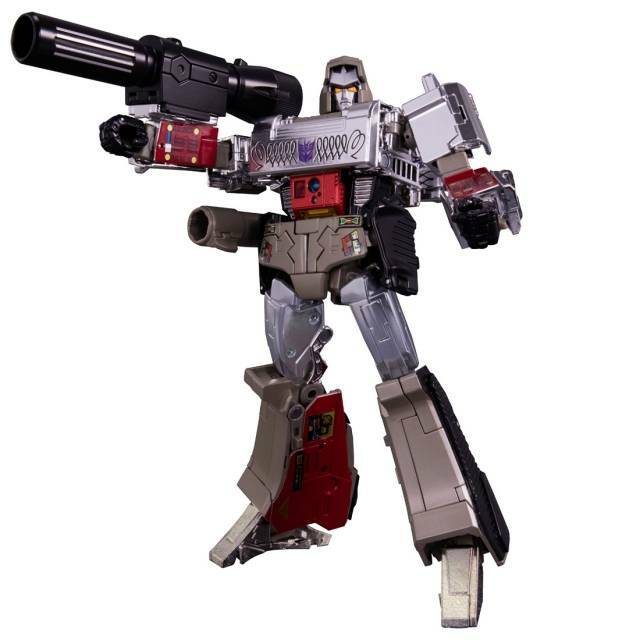 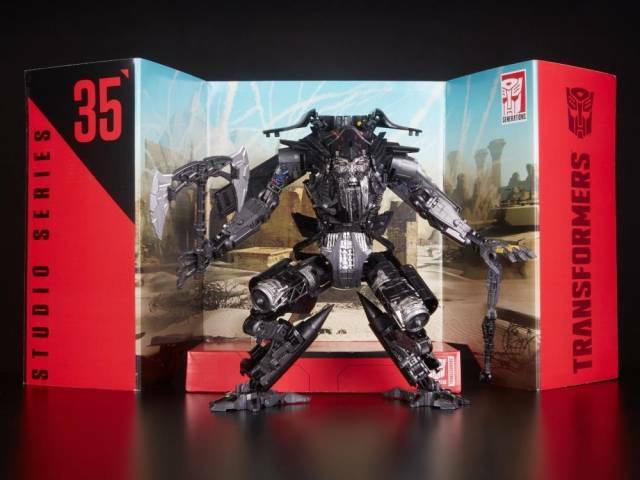 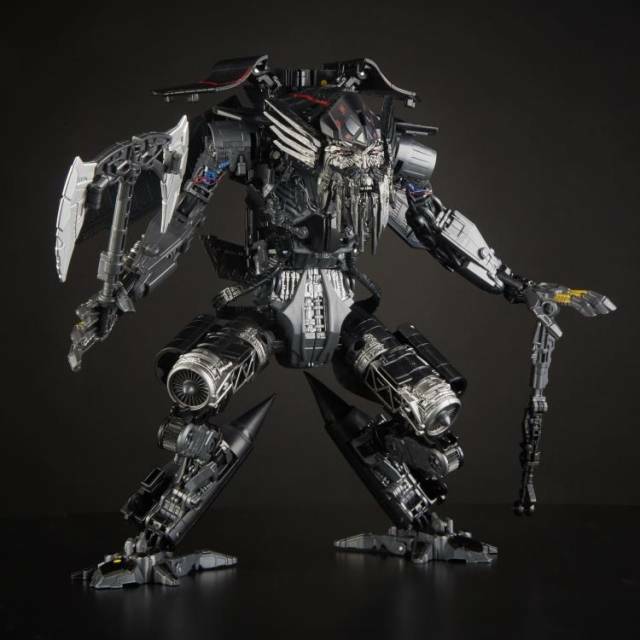 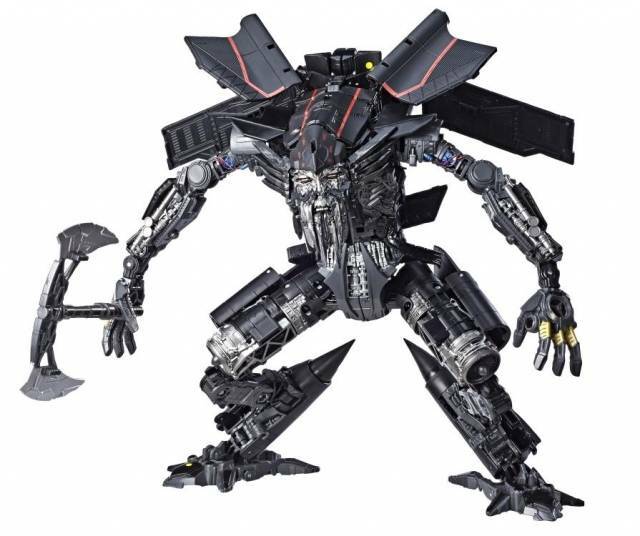 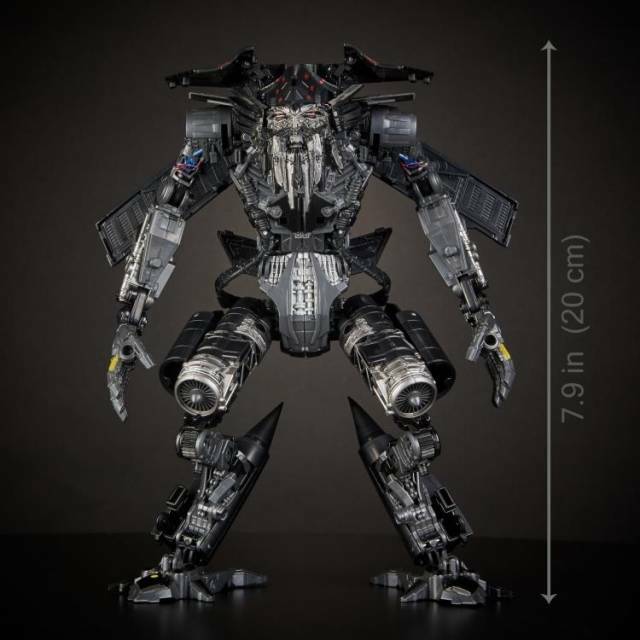 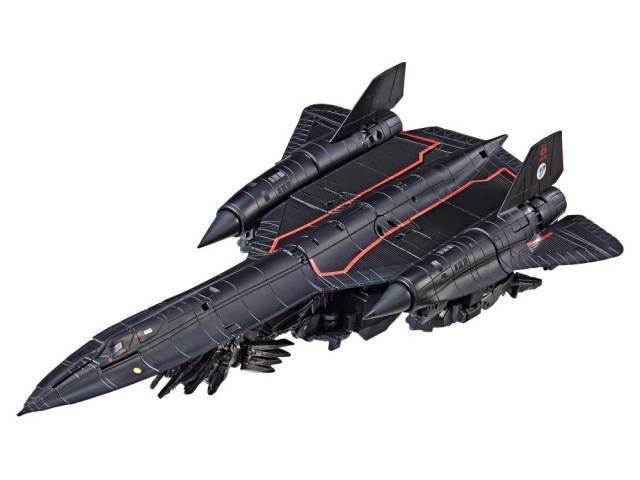 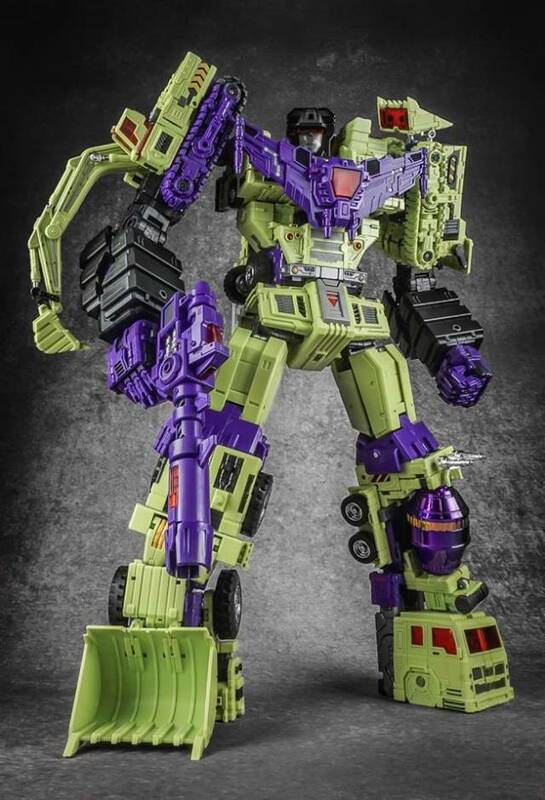 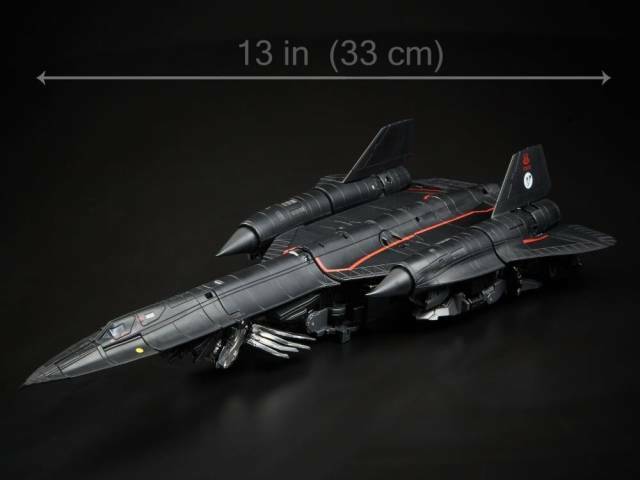 Studio Series 35 Leader Class Jetfire figure features vivid, movie-inspired deco and converts from robot to jet mode in 36 steps. 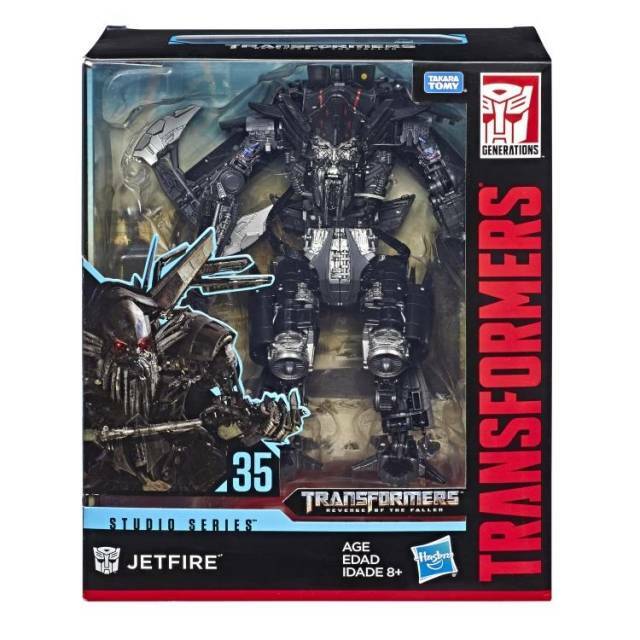 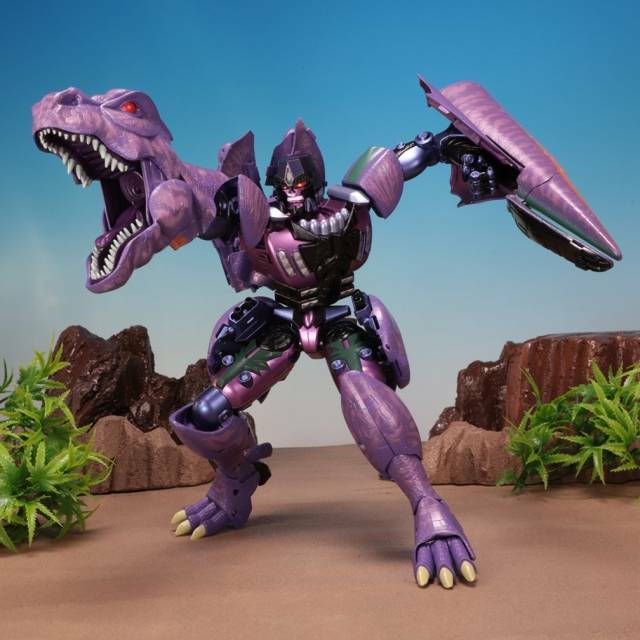 Remove backdrop to showcase Jetfire in the Pyramid Desert Battle scene. 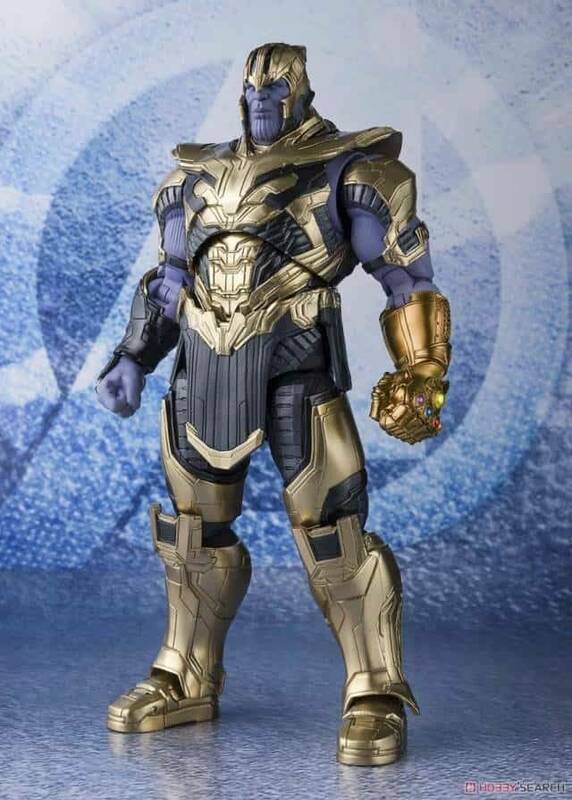 Includes 3 detailed accessories including cane and battle axe accessories.